Sharon joined ClientEarth in June to lead their Climate & Energy Programme. She was previously the Professor of Environmental Law at Queen’s University Belfast where she worked for 25 years. 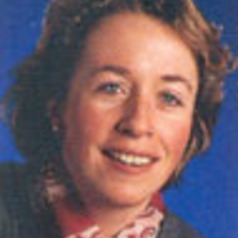 She was the lead author of the established text on environmental law in Northern Ireland and editor of two edited collections. During her time at Queens, she had a two-year secondment to the Department of the Environment (DOE) in Northern Ireland during which time she acted as the Department’s senior legal advisor on the environment. In June 2013, she left Queens to join ClientEarth to lead their Climate and Energy Strategy. In this capacity, she leads a group of 13 lawyers located in offices in London, Brussels and Warsaw working on a range of law and policy reform and litigation projects spanning EU and national governance levels. She continues to have close links with academia through honorary professorial appointments at University College London and the University of Sussex both of whom have leading research and teaching specialisations in Environmental Law.